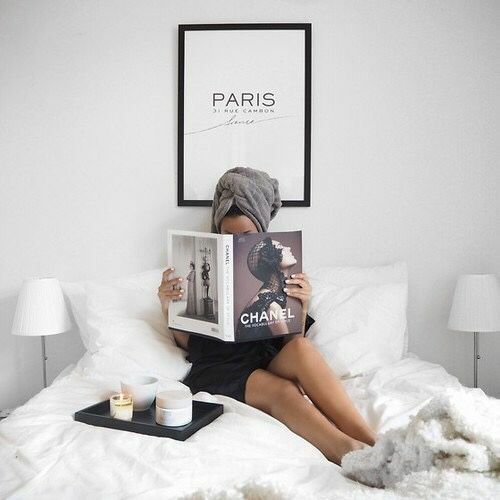 Your personal sanctuary… your bedroom! 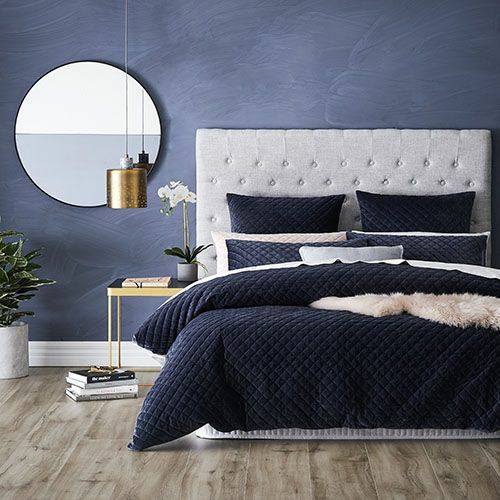 The starting point for styling your bedroom, (or one for a client), is to decide on the overall mood you’d like to convey. This doesn’t necessarily mean ‘the style’; but rather how you want the room to affect your mood. 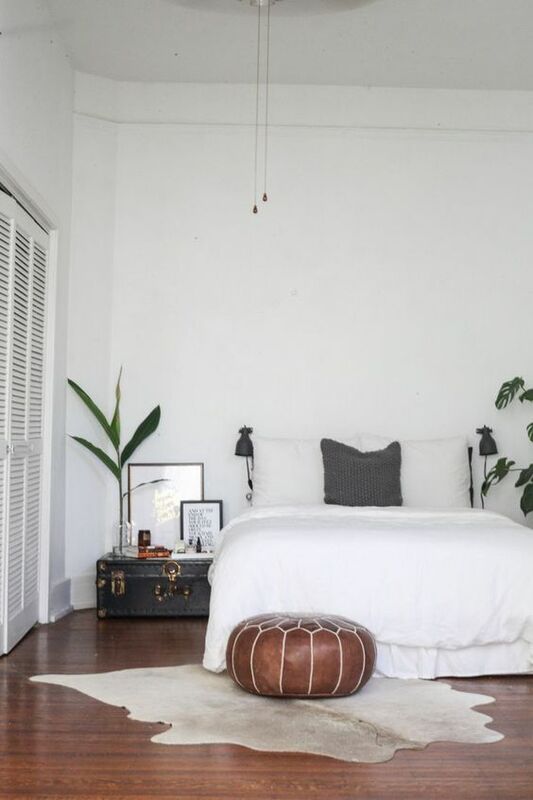 You might relate to a minimalist room with an all-white palette that breathes light and air into the room – you might relate to glamour and glitz that makes you feel pampered and indulged; or you might want intimacy, to feel snugly and safe. Whatever the feel, your bedroom is the special room in the home that will affect your well-being. Be guided by your emotional response to a certain feel you’d like in your bedroom; and decide on your starting point. 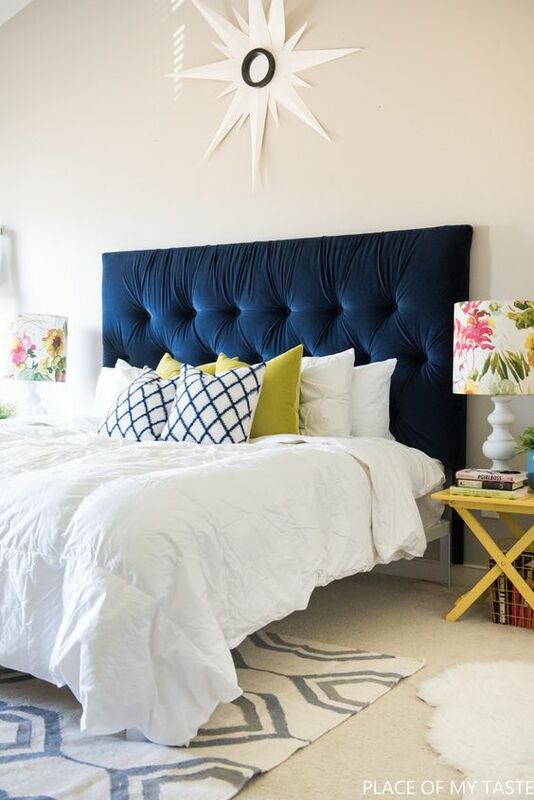 Your bed is the focal point, and should not only be comfortable, but suit the mood – as well as be the correct scale for the size of the bedroom. Start with a moodboard; with inspirations from printed or online sources – from Apartment Therapy; Pinterest, or Houzz. Play with how you can pull the pieces together to create a harmonious and balanced cohesive room. · Layer natural fibres and materials; from throws on the end of the bed; to over a bedroom chair. Think cottons, linens, wools. · Use a soft achromatic scheme, or a muted monochromatic neutral scheme. Think charcoals, greys, stone whites OR beiges, taupes, and antique white. · Consider window treatments – curtains or roman blinds. Use a base cloth (pattern free); and allow the fabrics to drape. Think cotton sheers or a light weight linen. · Make the most of natural light; and for artificial, include light achromatic or neutral coloured lampshades. Think using the same fabric as the window treatment for repetition and rhythm. 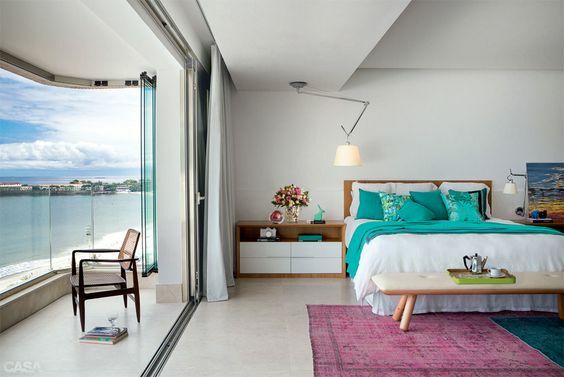 · Timber flooring is a winner here. Think a natural worn patina or white washed for a Scandi or beach mood. · Consider some empty space for movement and self-reflection. Think a low bed. · Include a small pop of gentle colour. Think a tin jug or glass bowl of short stemmed flowers. · Don’t be shy to mix and match furniture styles. Think tin trunk as one bedside; and a pile of books as the other. · Don’t forget comfort under foot. 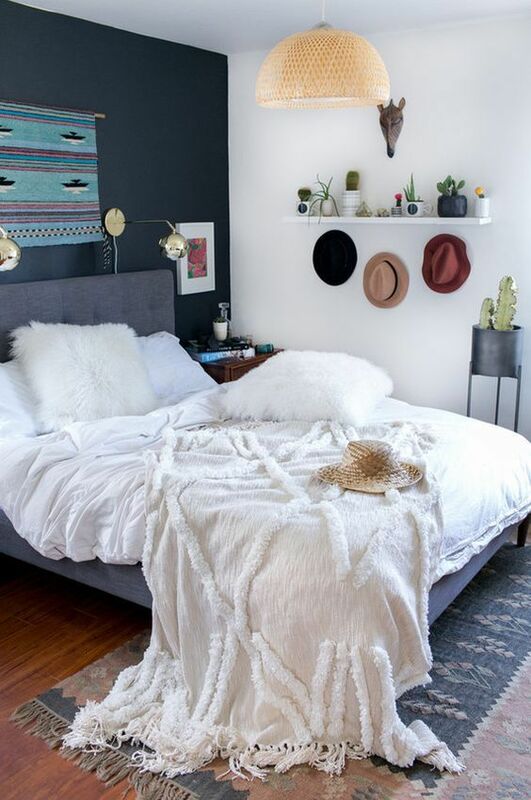 Think sheepskins either side of the bed; or an oversized Moroccan rug. · Stay clear of glass finishes, glossy paints, saturated colours, polished metals, and bold patterns. Think old leather, woven wools, ceramic vessels, mohair, and chalk or matt paints. At the end of a long day, you must relate to your room – this is where you retire to. And for some sleep hygiene: don’t include TVs, phones or laptops at bedtime; but read a book by the light of an ambient lamp; or do a few yoga stretches to crease out those computer arms and shoulders. Good sleep = good health.